This month Alicia Simpson MS, RD, IBCLC, LD is recognized. Alicia is the Clinical and Curriculum Coordinator for the Health & Wellness and Maternal Child Health program. She is an International Board Certified Lactation Consultant and registered dietitian specializing in maternal and pediatric nutrition. She is the founder of Pea Pod Nutrition and Lactation Support a 501 (c)3 non-profit. Alicia is also the author of three cookbooks Quick and Easy Vegan Comfort Food, Quick and Easy Vegan Celebrations and Quick and Easy Low-Cal Vegan Comfort Food. She has two popular blogs: Vegan Guinea Pig where she reviews vegan cookbooks, restaurants, health and beauty products, blogs, websites and food as well as The Lady and Seitan where Alicia not only veganizes Paula Deen recipes but creates lower-calorie, healthier versions of Paula’s buttery, high calorie favorites. A. I enjoy being able to work with the next generation of health care providers. While I am sharing my expertise and life lessons from my life in public health, nutrition and lactation, students share with me the newest trends in healthcare from the perspective of a non-provider and help me continue to grow and learn as I work them. A.  Union has such a strong history and commitment to the community and it radiates through every person who works here. Union is such a supportive and collaborative environment and I am lucky to be a part of the team. A. I am a certified public health nerd! Any job where I can affect positive change in the lives of families in need is a job where I feel right at home. My position at Union allows me to do this on a broad scale by helping to train the next generation of lactation consultants and create a culture where breastfeeding is considered normal and natural again. A. I am a true animal lover and of course, I do all the classic animal-lover things like adopting rescue dogs and cats. But what might surprise people is that I adore reptiles and amphibians. There is nothing more cute and cuddly to me than a Burmese Python or Red Eye Tree Frog. A. The Power of Habit is one of my favorite books. We all have something about our lives that we want to change for the better whether it be eating better, spending more time on self-care, raising caring and kind children, the list can go on. For me, this book helped to sharpen my skills in my own life to stick with those positive changes and it has also helped me professionally to help the patients I work with, my students and colleagues to help reach their own personal goals for positive change, learning and growth. Alicia has an unparalleled passion for maternal and pediatric nutrition that led her to found Pea Pod Nutrition and Lactation Support, Inc. in 2012. 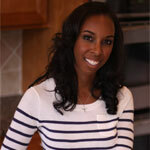 Her passion for nutrition started early in life as a child growing up in the agricultural town of Fresno, California. There she grew up on fresh, local produce grown in her family’s fruit and vegetable garden and the many gardens and farms nearby. Her parents raised her with an appreciation for health, nutrition and the importance of fueling your body with wholesome foods. Alicia moved from California to Virginia to her “home by the sea” Hampton University to pursue a degree in Marketing. After graduating from Hampton University Alicia entered corporate America as a saleswoman. Although she excelled in her career she felt something was missing. An avid reader since her childhood, Alicia dove head first into any book, article, blog, or scientific journal she could get her hands on that dealt with public health and nutrition. Finally, Alicia decided to make the shift from a corporate sales career to that of public health and nutrition earning her Master’s degree in Nutrition from Georgia State University as well as her second bachelor’s degree in Anthropology from Georgia State University. Alicia has a burning need to answer the “why’s” in life and her question of “why do African American mothers have the lowest rate of breastfeeding in the United States?” fueled the research behind her master’s thesis titled Sociocultural Barriers To Breast Feeding In African American Women With Focused Intervention To Increase Prevalence and spurred her involvement in the field of lactation. Her original thesis research was also the catalyst behind the creation of Pea Pod Nutrition and Lactation Support. Alicia is active in her community as a volunteer with La Leche League International (Georgia Chapter), Vice President and Board Member of Gluten Intolerance Group of Atlanta and Chair of the Membership Committee for the United States Lactation Consultants Association (USCLA) . She is also the author of 3 bestselling cookbooks and her new bestselling book Boost Your Breastmilk: An All In One Guide for Nursing Mothers to Build a Healthy Milk Supply. Her most important role is that of mother to her vibrant and energetic daughter. To learn more about the Master’s in Health & Wellness, click on the link below or call us today at 800-861-6400.